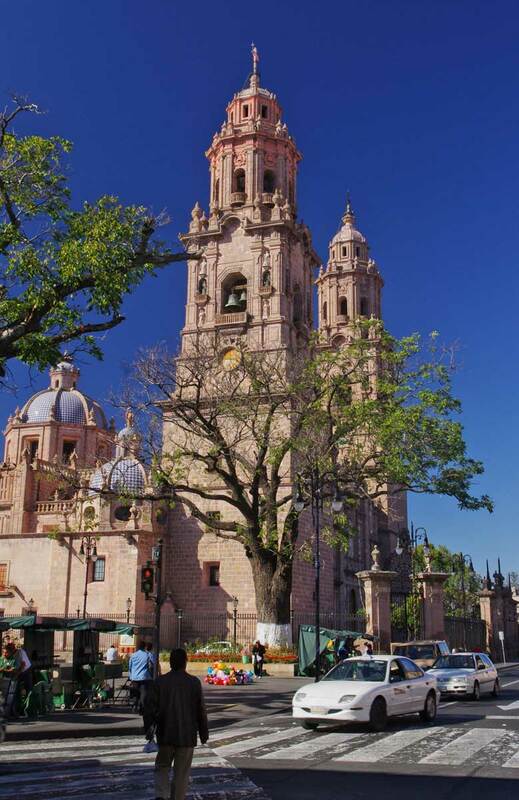 It is Christmas Day and I’m writing this from my apartment in Morelia. The photo above comes from a series of photos I took on a “walk around” Friday as I tried out my new camera. 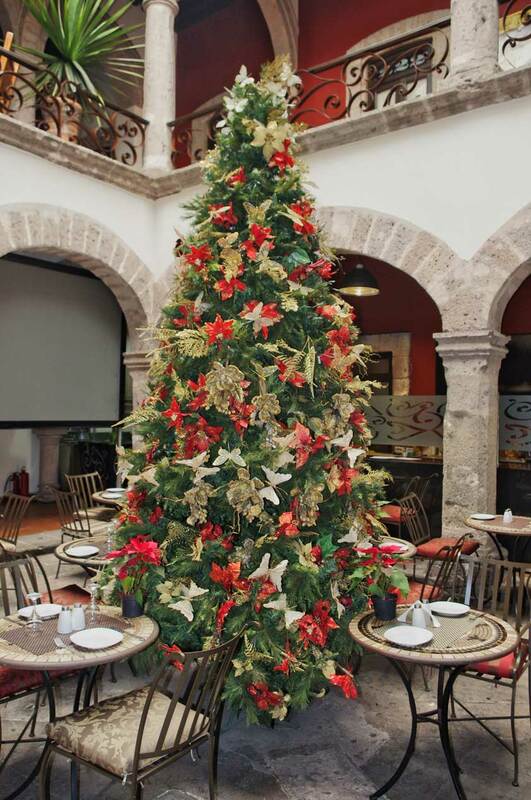 Christmas is a special time in México. The holiday is full of tradition and parties as friends and families join in the celebration. 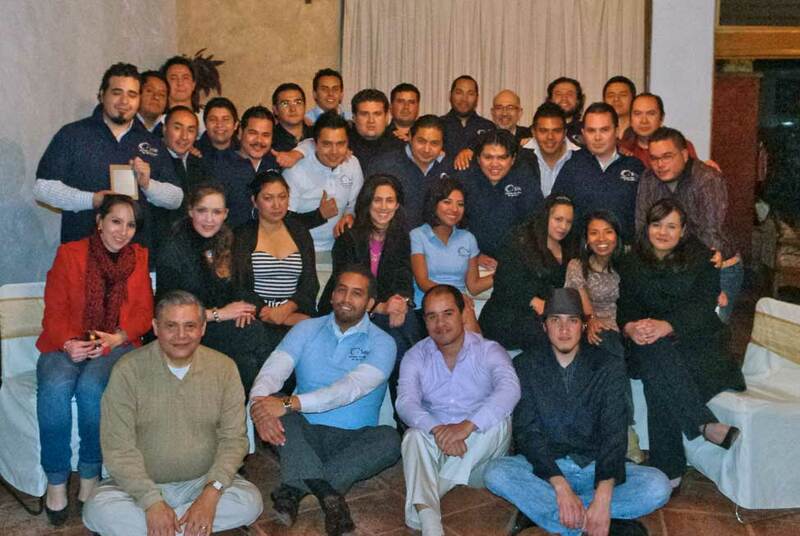 Our company had its annual Christmas Party at the Hotel Villa San Jose in Santa Maria, a part of Morelia above the city where you can get a wonderful view of the valley in the evening. This year I saved and got myself a new camera, something I’ve been wanting for a long time. I’ll write more about my choice later, right now I’m preparing to move this blog to Amazon so I have more options for photos and my writing. WordPress.com has been fine for getting started, but in the long run it is pretty limited for what I would like to do. The walk I took on Friday was a wake-up call in a lot of ways. I’ve been missing opportunities to explore creatively and I’ve decided that is going to change. On Christmas Eve, I was sitting in my apartment doing nothing really when my neighbor stopped by and asked if I would like to join him and some friends for a small family party. I said sure and we went to a home in the Chapultepec district. 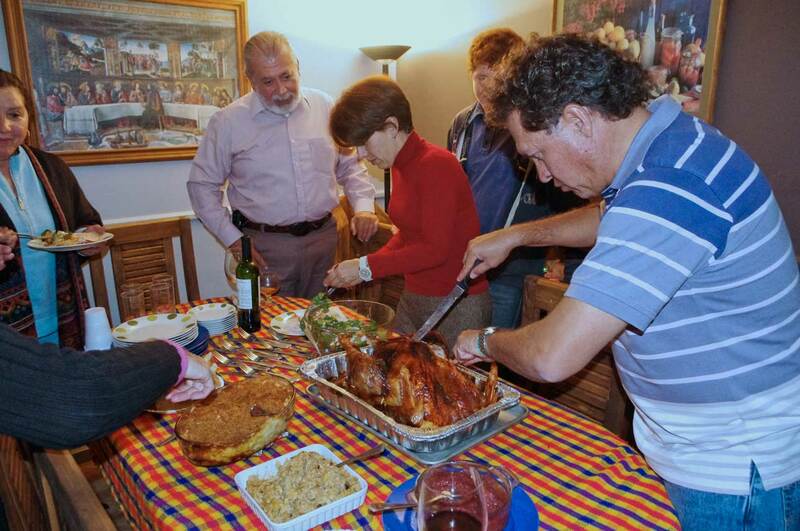 As you can see from the classic Christmas scene below – father is cutting the turkey that his wife made with her special recipe (tequila and secret ingredients), while she serves a spinach salad and grandfather waits for his serving. I had a wonderful evening with new friends and a feeling of home. There isn’t much more satisfying than that in life. This morning I heard from my son and his family in Beijing. He shared some very nice photos of my granddaughter that show she is doing well and growing like a weed. As much as some people may think it odd that 10% of the world now share their lives on Facebook, I have to say it has been a wonderful thing for me. It keeps me in touch with friends and family in ways I was never able to do before and for that I am very thankful. Where ever you are, I hope you had some time with family and friends this holiday season and a chance to reflect on the good in the last year despite all the problems we hear about in the news. Life is a gift that we get to keep opening. Next story Renewed for the New Year!